Market Menu is a three-course, fixed-priced tasting menu, sourcing local and fresh produce and meats from local farms and purveyors. 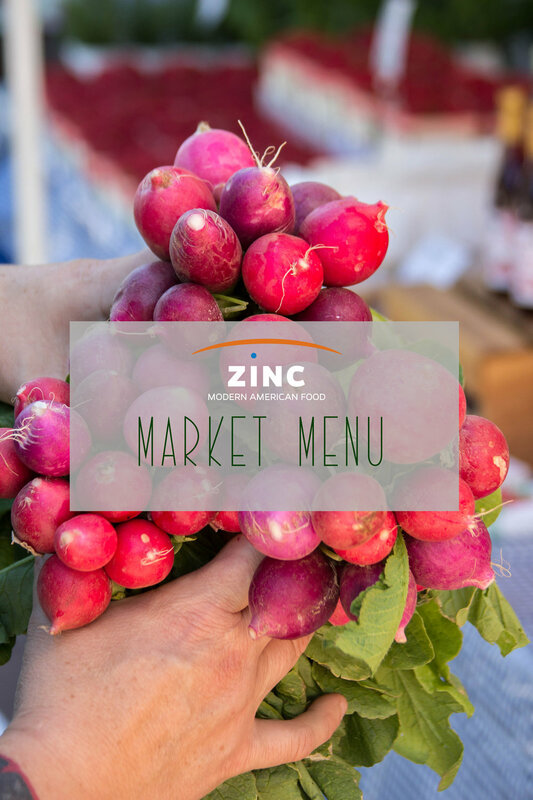 As a longtime supporter of locally grown food and farmland preservation, ZINC Chef/Owner Denise Appel and her team create a weekly tasting menu based on seasonal ingredients from as many local farmers and purveyors as possible. This year we also support End Hunger Connecticut! and their Summer Meals in New Haven 2018 program. This organization ensures that nutritious meals and snacks for children 18 years of age and younger are available all summer long at no cost to them. ZINC will donate $1 to End Hunger Connecticut! from every Market Menu we sell from June 20 through the end of the season.